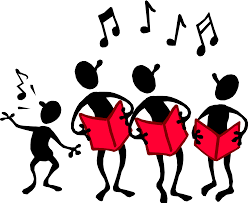 The Friday hymn singing sessions for the residents at Vida Grange Care Home have worked very well……many thanks to those who have already contributed to this valued outreach…..and can you mention it to any friends and family who you think might be interested. Our final visit in 2018 was to sing carols on Friday, December 14th – well received by residents and staff alike. We visited all the ‘Houses’ and though the visit was for quite a bit longer than usual, our appreciative welcome made it very much worthwhile. Thanks to those who came along. Our next visit will be on Friday, April 26th, 2019, meeting, as usual, at 2.20pm in the main reception and singing for about 45 minutes from 2.30pm. Male and female voices both needed and welcome!….we can manage with a small number, but the more the merrier. We can even sing unaccompanied – as witness our visit in September, when the usual room and keyboard had been triple-booked!! But don’t panic!….we expect to have the keyboard available for future visits.